It is morally wrong to steal, whether its a million dollars or just a few Naira notes. At least from the way I was raised, that is and the Nigerian Criminal Code Act, CAP C38, LFN 2004 confirms same. 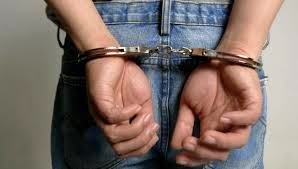 Recently, I read about a robbery syndicate who specialised in stealing cars and selling them off, the members had been apprehended by the police and the person who disposed of the cars for them was also arrested and prosecuted. 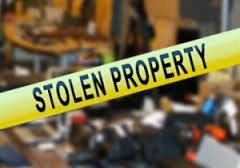 It is a crime to receive stolen or fraudulently obtained property and such person may be found to be as guilty as the person who stole the property in the first place. Thus, if a friend of yours steals or fraudulently obtains a property and hands same over to you for safe keeping or disposal, you will be liable and found guilty for being in possession of the said item. The law that supports the aforementioned position can be found in Chapter C38, Sections 427 of the Criminal Code Act. It provides that – Any person who receives anything which has been obtained by means of an act that constitutes a felony or misdemeanour, knowing same to be so obtained, is guilty of a felony. It does not matter if the act was done outside Nigeria, all that matters is that it would have been a crime if done in Nigeria and also a crime under the laws of the place where the act was committed. If the offence by which the thing obtained is a felony, the offender is liable to imprisonment for 14 years, if the thing so obtained was a postal matter, chattel, money or valuable security, the offender will be liable to imprisonment for life. In other cases, such offender is liable to imprisonment for seven years. Note that in order to prove that receiving of anything under these circumstances stated above, it is sufficient to show that the accused person has either alone or jointly with some other persons, had the thing in his possession, or aid in concealing it or disposing of it. From the above, you must have learnt that not only is stealing a crime but also that receiving stolen property is seriously frowned upon and anyone found guilty of same may be liable to as much as life imprisonment.